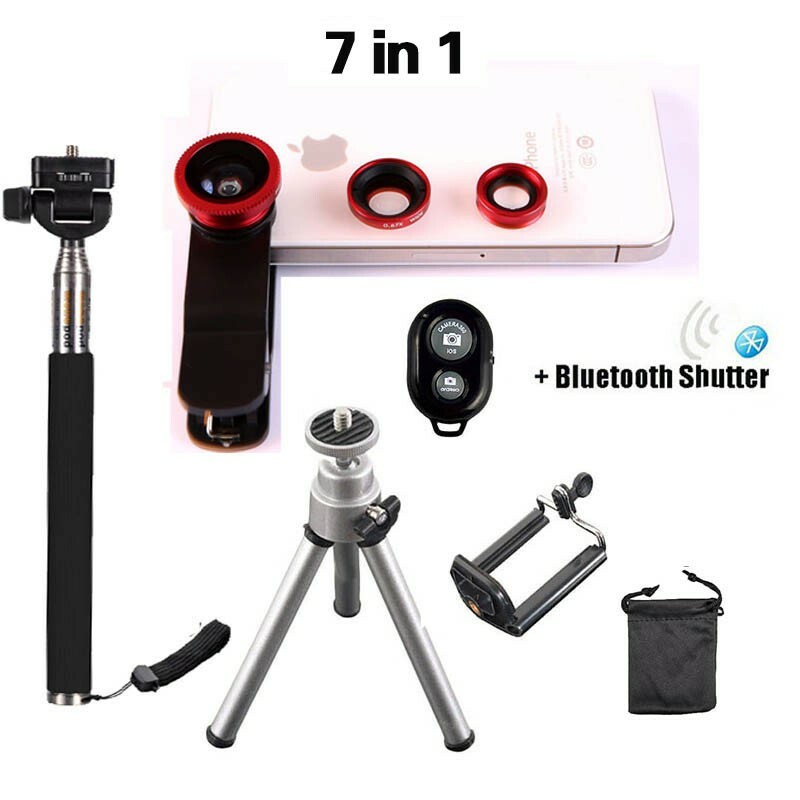 2016 7in1 Universal clip 3in1 Lenses Fish Eye Wide Angle Macro Lens Selfie Stick Tripod Bluetooth Control For Smartphone Product Description: Stick Tripod: 100% Brand New. 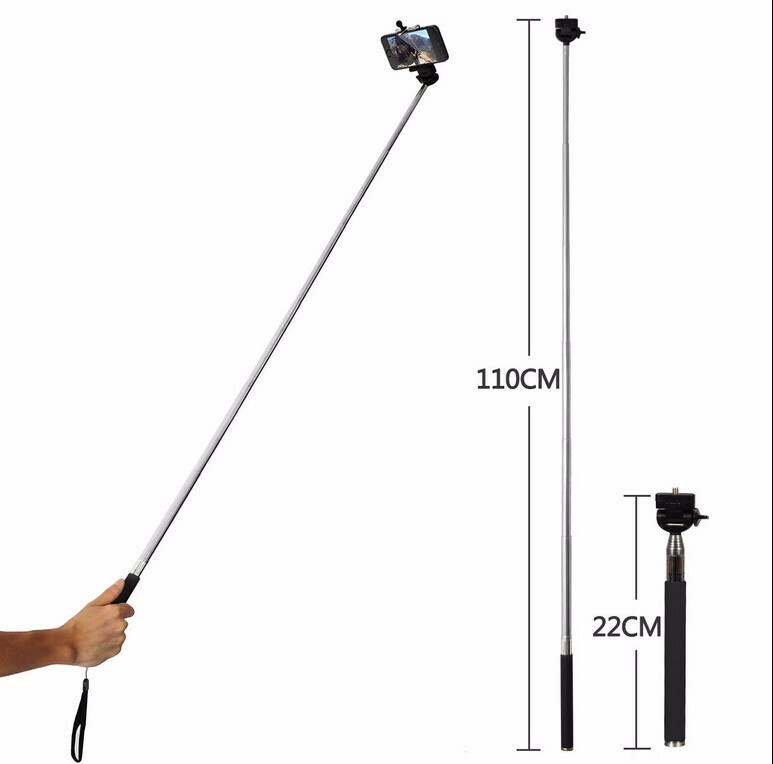 Weight: 70g Size: (L) 15.5 x (W) 20.0 cm Max. 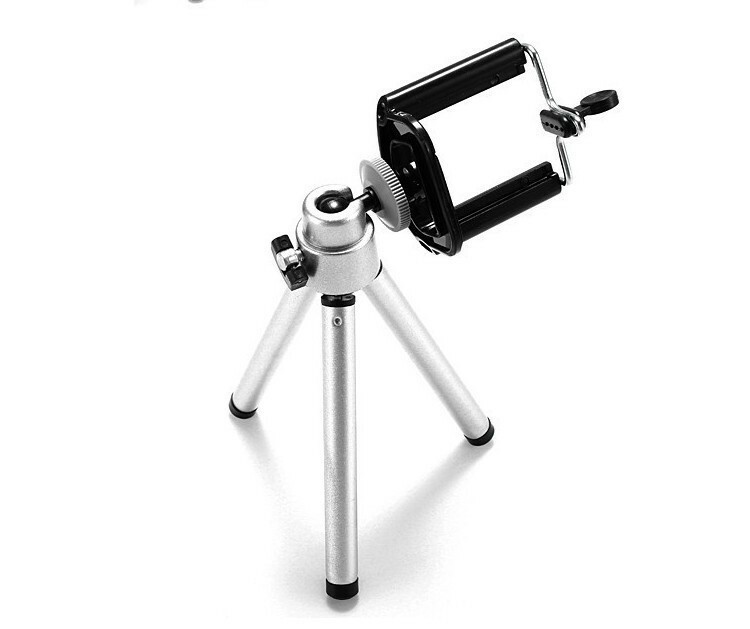 Length: 20 cm Material: Aluminum Mini travel TRIPOD for Sony Nikon Canon Digital Camera and webcam. Well designed head makes it easy to suitable for for all cameras and digital cameras Strong flexible legs allow easy positioning, even on uneven and rough surfaces Modern design to form an exceptionally stable shooting platform that can be used anywhere Portable with light weight, bring it with your digital camera when go travel Super 3 in 1 len(Fisheye ,Macro len, Wide angle ) with clip as one is dedicated to the design for mobile phone cameras, delicate and beautiful, the international very popular product. 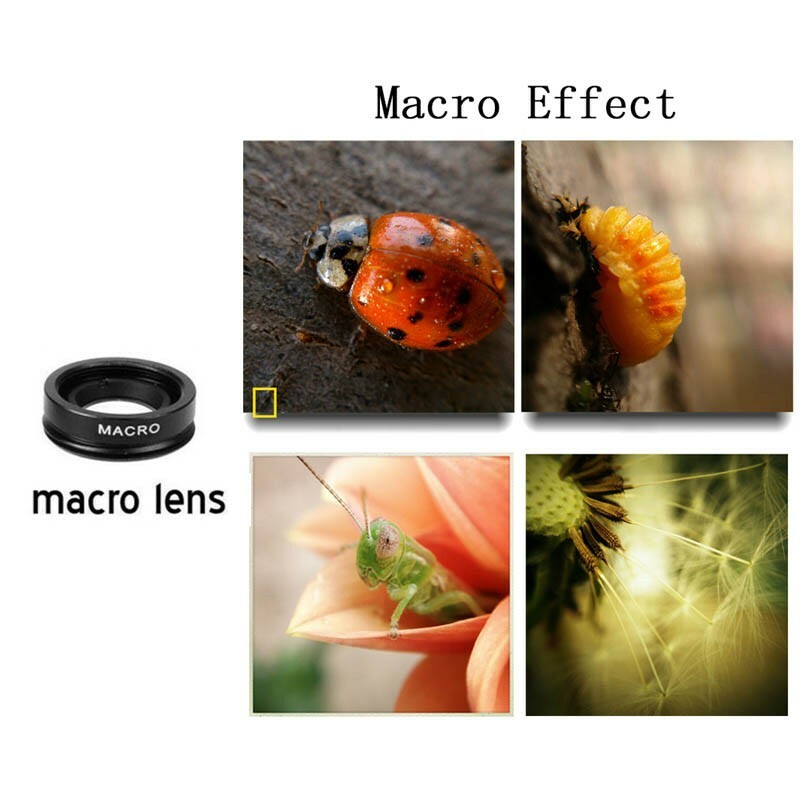 Set the fisheye, wide Angle, macro function. 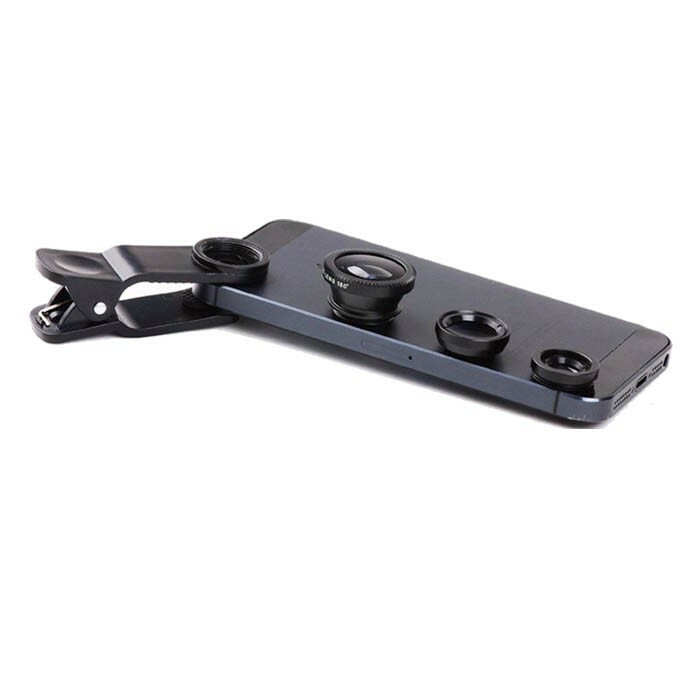 The company produces all adopt the high-grade multilayer green film, is the mobile phone photography players to love. 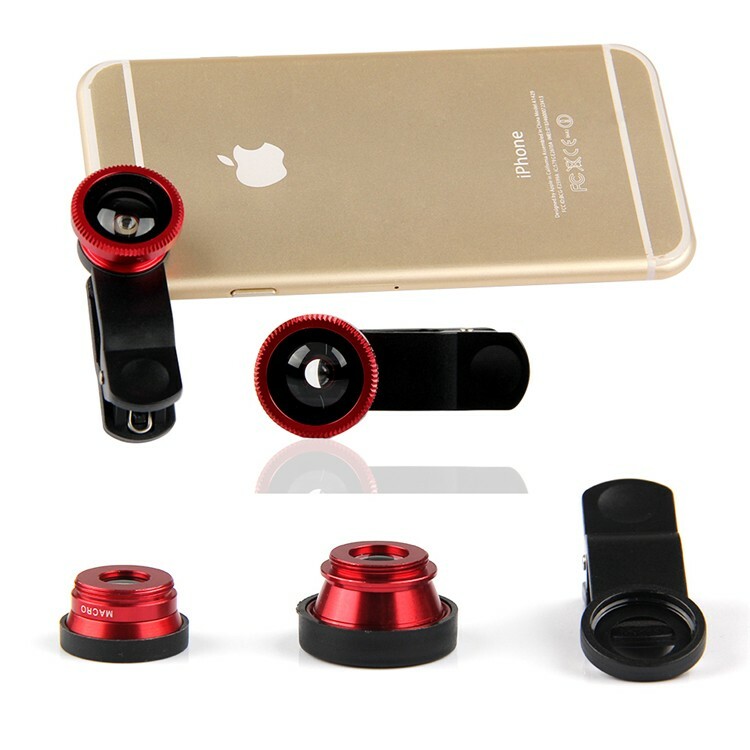 Suitable for many kinds of mobile phone. Take it when you are traveling and you will enjoy your journey. Take it as the same feeling of possessing Digital Single Lens Reflex. 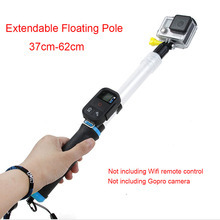 Monopod Features: Adjustable Extendable Handheld Monopod: Size of product: 6 segments Close Size: 20cm Max Extends to :about 100cm Fits most compact cameras Material: aluminum alloy and plastic material. 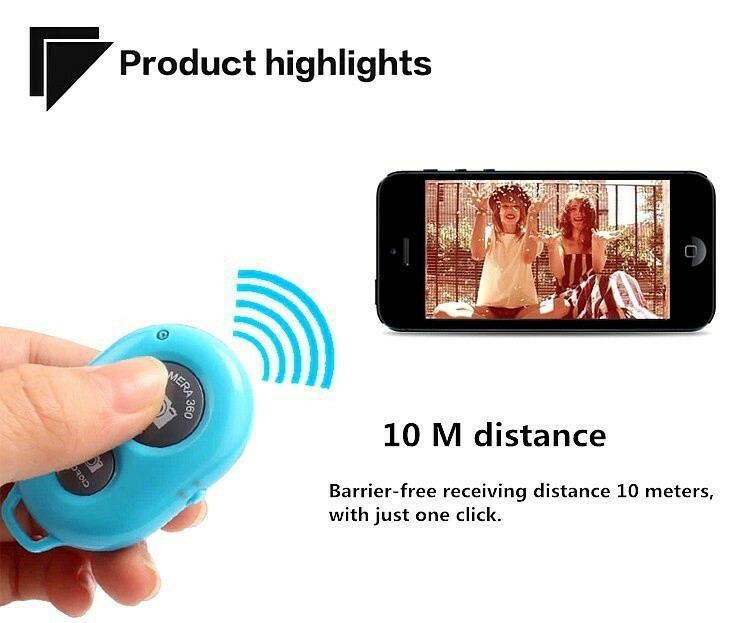 Includes a Wrist Strap Color: Black Bluetooth remote camera AB shutter : Communication Bluetooth Version 3.0 Transmit frequency 2.4GHz~2.4835GHz Transmit Power 2dBm (typical) Coverage Range 10 m(30ft) For Apple iPhone4 4s 5 5s iPad 2 3 mini ipod touch/Samsung Galaxy S2 S3 S4 note1 2 3 Tab/Moto X/Nexus 4 5 7+/HTC And compatible with Sony Xperia S/HTC/Other android phones. 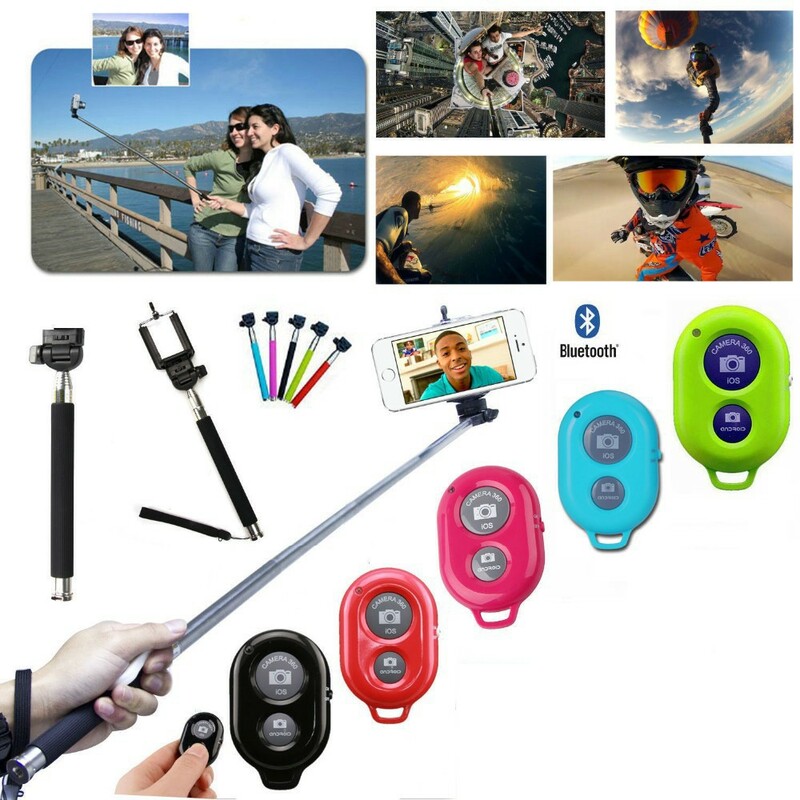 (You need download the APP of “carmera 360” from Google play if inbuilt camera can not be supported) Operating current typical 16 mA, max 20 mA, standby 200 uA Operating Temperature -10 c to +50 c Storage Temperature -20 c to +80 c Products include: 1 X Monopod 1 X 3 in 1 Fish Eye(Fish eye+Macro+Wide Lens) 1 X Cellphone Clip 1 X Stick Tripod 1x lens Cap 1x Lens Pouch 1X Bluetooth Shutter Dear Customer, If you like which color, please leave us a message. If not, we will randomly shipped. Thank you for your order.